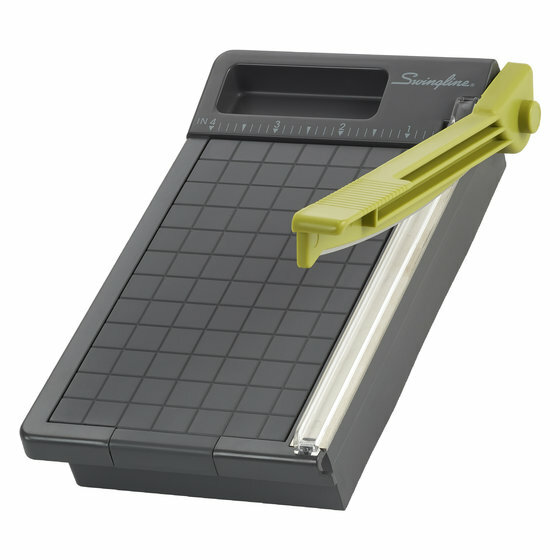 The ClassicCut® Compact Guillotine Trimmer is perfect for small projects like crafts and photo trimming. Its lightweight and compact design deliver high-quality cutting without taking up the space that a traditional trimmer requires. 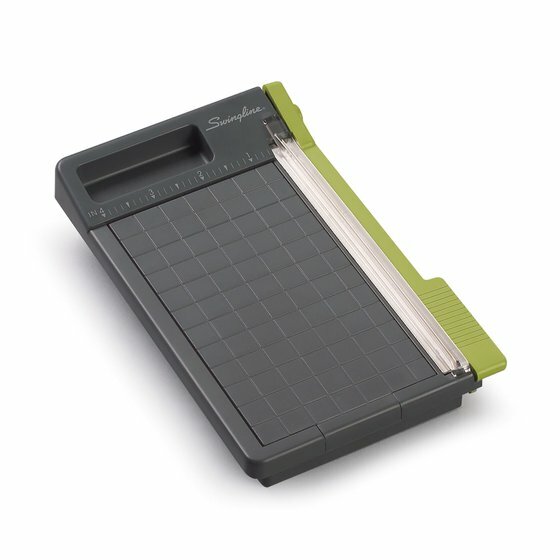 For even more space-saving convenience, this trimmer also features a built-in storage compartment that lets you keep small items likes clips and scrap paper right in its base. 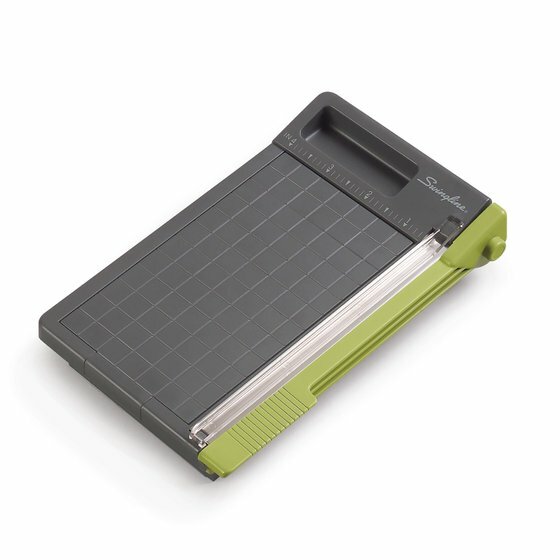 This compact trimmer packs all the cutting power of a traditional paper cutter into a lightweight and easy to store design. The plastic base is durable without weighing the trimmer down, so it’s easy to toss in your bag and bring with on the go. Its compact size lets you store the trimmer in a desk drawer instead of taking up space on your countertop or desk. 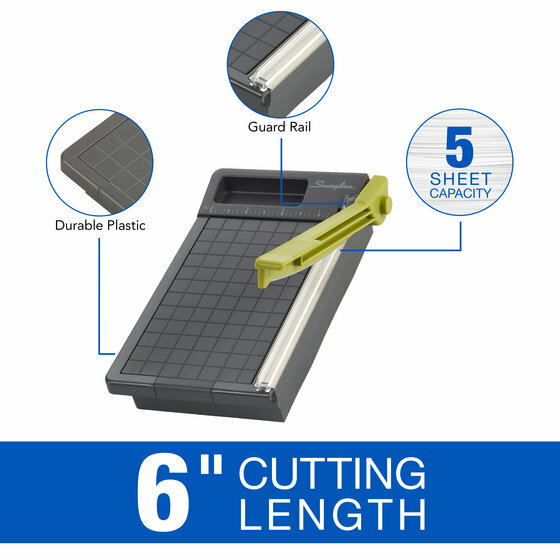 Although it’s smaller than traditional paper cutters, this trimmer’s 6" cutting length still provides ample room for cutting photos, cards, labels and more. There’s more to this trimmer than meets the eye. Simply lift up the alignment grid to reveal a concealed storage compartment in the trimmer’s base. 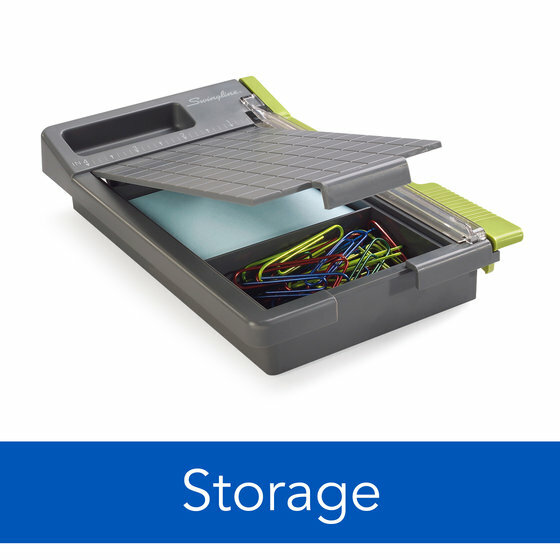 This compartment is divided into two sections that will keep your sticky notes, rubber bands, paper clips and more conveniently organized and within reach. The base then snaps closed to keep everything secure. The exterior of this trimmer also features an inset space at the top to hold loose clips or paper scraps as you cut. 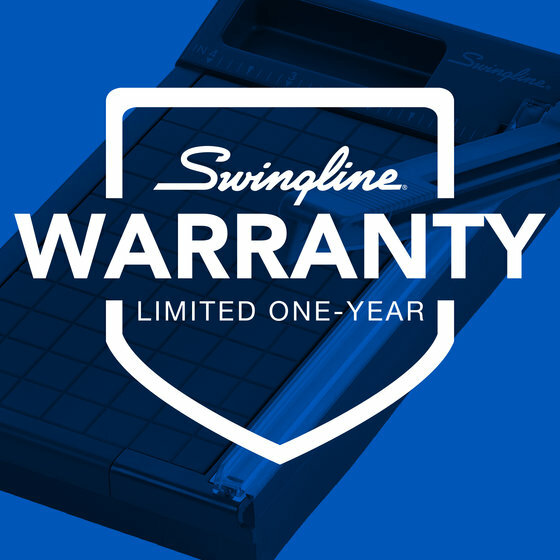 Precise, sharp cutting is virtually effortless with this trimmer’s easy to use guillotine blade. 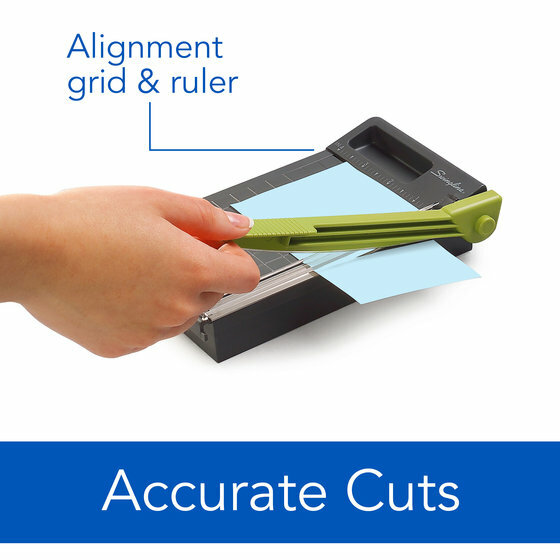 Simply swing the cutting arm open and closed to create straight cuts that are perfect for cards, labels and photos. The handle’s finger grips make swinging the arm comfortable and effortless. And, when you’re not using the trimmer, the arm securely snaps into the closed position, so there’s no need to worry about it opening when you toss it in your bag or desk drawer.